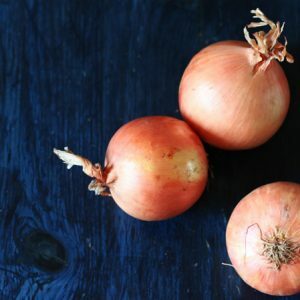 The tradition of preserving food, whether fruit, vegetables, meat or cheese is so fundamental to the cuisine of each Italian region and is one that still lies very close to the hearts of many, who cannot do without their mother’s plum jam, their nonna’s preserved mushrooms in oil or their neighbour’s own prosciutto. Preserves, the topic of this month’s Italian Table Talk, where four food bloggers discuss an aspect or tradition of Italian cuisine, is appropriate as the Italian summer is a time for collecting the season’s abundant fruit and vegetables and preserving them for the winter. 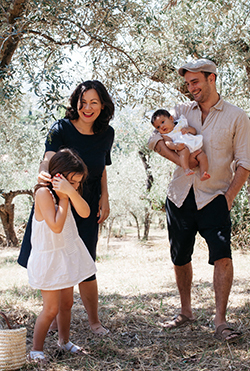 Be sure to check out what’s cooking in Juls Kitchen for her story behind French beans preserved in oil, as well as Valeria from Love Life Food‘s Eggplant sauce and Jasmine of Labna‘s gherkins. The first thing that immediately comes to my (English language) mind when I think of preserves is jam. Jam is made all over the peninsula, from bountiful fruit that grows in backyards, weighing down branches, or baskets of cheap produce found in the market. Pellegrino Artusi, who you could think of as the grandfather of Italian cooking, has an entire chapter dedicated to conserve (conserves, jellies or jams, which are also known as marmellate in Italian) in his 1891 cookbook, Science in the Kitchen and the Art of Eating Well. In his introduction to the chapter he describes how fruit jams are handy to have in the house, not only for their use in desserts (what would people do without the beloved crostata di marmellata?) but also for breakfast and as “un ottimo spuntino”, an ideal snack. 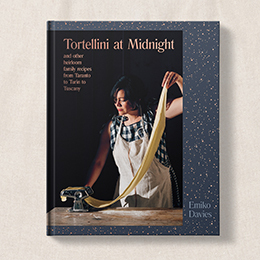 It’s interesting to note that the very first recipe in the chapter is one not actually for jam but for la conserva, the queen of conserves for all Italians, which is preserved tomato. 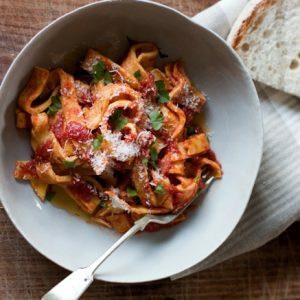 More than a recipe, it’s a description of one of the millions of ways tomato puree is traditionally made in households across Italy with summer’s abundant tomatoes, bottled for use throughout the year. Included in Artusi’s jam recipes are the usual suspects such as apricot, plum, blackberry, raspberry, quince, currant and orange. Some of the more unusual jam recipes are for hawthorn berries, rose petals (my favourite) and this one here – tomato jam. 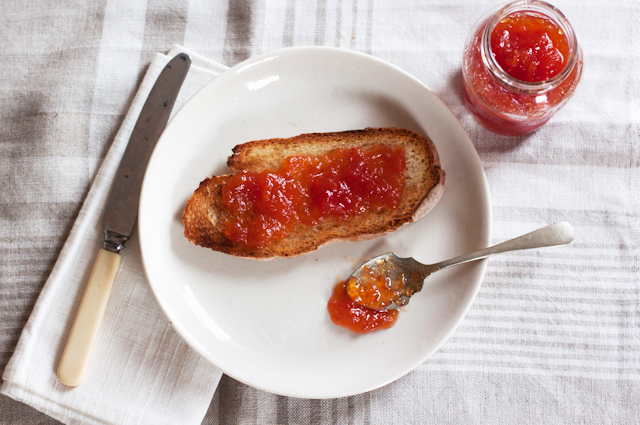 A sweet tomato jam. Artusi treats the tomato like any other fruit – remove the seeds, add the rind and juice of a lemon, plenty of sugar and the fruit. He opens the recipe with a line from Dante (who else quotes Dante in a cookbook but Artusi? ), Ch’ogni erbe si conosce per lo seme (literally, “every herb is known by its seed”), which essentially is to say that without the seeds in the jam, it’s difficult for anyone to guess what fruit this jam is actually made out of. We are generally unfamiliar with eating tomato in a sweet way, and it really becomes almost unrecognisable in this jam, perhaps only its vermilion-red colour giving it away. 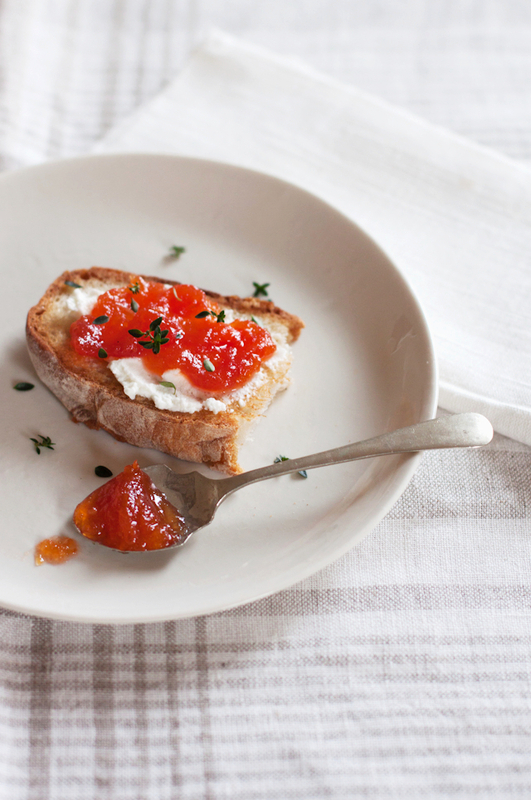 If you didn’t know it was tomato, the flavour of this jam is actually hard to pin-point. One friend who was tested said it tasted a little like kumquat jam – or is that the lemon coming through? It’s wonderful just spread on toasted bread, like any homemade jam, for breakfast, but try it also as an elegant snack, lathered on bread with (homemade) ricotta or goat’s curd and some fresh thyme. Artusi recommends using mature, round tomatoes and points out that it’s difficult to calculate the correct amount of sugar for this recipe because it depends in part on how watery your tomatoes are, so use the measurement below as a guide and adjust if you need. 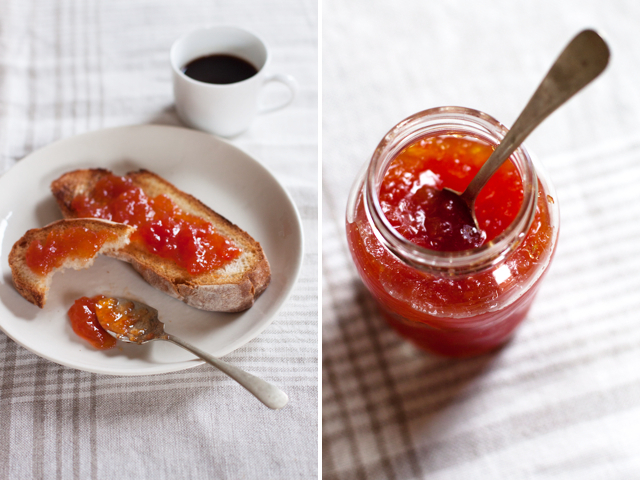 This recipe makes around 500 grams of jam. Remove the skin of the tomatoes by first scoring a cross on their bottoms, then blanching them in boiling water for a minute or two then plunging them into cold water – the skins will peel right off. Cut them into quarters and with a teaspoon, remove all the seeds. Chop the tomato flesh. In a large pot dissolve the sugar in a little water (precisely “two fingers” worth of water in a glass according to Artusi), add lemon juice and zest. When the sugar has dissolved, add the chopped tomatoes and bring to a gentle boil, without the lid. Stir every now and then, keeping an eye out for any seeds that you may have missed and remove them. Just before the jam is done, scrape the vanilla in to the jam. 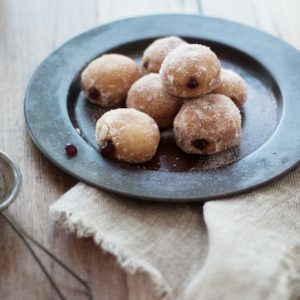 To test when the jam is ready, drop a teaspoon of it on a cold plate and tilt it slightly – if it runs off the plate and is syrupy, it’s not ready; if it holds the blobby, jammy shape that jam should be, it’s done! Pour into small jars and seal. Keep up with the chat on Italian Table Talk on twitter by following the hashtag, #ITableTalk. Great! I love the Sweet Tomato Jam. Do you know that it was mentioned even in wartime recipe book? Sounds very interesting, I just love historical cookbooks (as you might know!). I discovered tomato jam just recently, and I love it. Dante’s quote is just perfect: you would never recognize tomato into jam, yet it has something unique, love it! A wonderfully original jam! What a beautiful color. Tomato jam is new to me, and I wander why I keep considering things like tomato and eggplant as vegetables more than fruit, although technically they belong to this rather than that category. I recently sew a recipe for eggplant jam and it opened a whole new world, and now yours…Time to get started. You suggestion for serving it with ricotta and goat curd sounds simply divine –it is indeed my favorite way of enjoying jam for breakfast. Can’t wait to try it. This looks and souds delicous! I suspect you will need some very tasty tomatoes and sadly our tomatoes are white on the inside and very tough. Preserving is indeed entwined with memories, I posted my family recipe for cherry brandy saturday and it brought me back to my childhood. Love what you ladies are doing with the Italian table talk! Thanks Regula! Do you know what, I’ve done this recipe quite a few times and when the tomatoes are not as flavourful it actually makes an even more “unrecognisable fruit” jam because that strong, familiar tomato scent and flavour is lessened! buonissima, la faceva anche mia nonna! io adoro tutte le marmellate e confetture con gli ingredienti meno ovvi… pare che fino a qualche secolo fa non ci fosse la distinzione che facciamo oggi fra frutta e verdura, e fosse normalissimo servire finocchi canditi e confettura di zucchine. Io preparo anche la marmellata di melanzane e quella di zucca. Splendido post!!!!! E’ vero – la marmellata di zucca e’ buonissima! Confettura di zucchine e marmellata di melanzane devo dire non ho mai provato ma adoro la torta (dolce) di zucchine – fatta come un plumcake! I really enjoy foods that surprise and even confuse my palate- like this tomato jam. The color is so beautiful and intense! The colour is just amazing isn’t it? There’s no other fruit quite like that colour. I once had a tomato sorbet in Corsica and it was just exquisite – sweet, icy, refreshing, tomato-y: there’s another one that will confuse your palate! What a beautiful recipe. So many tomato sauces are naturally sweet that this is just a logical progression…though one I have never thought to try. 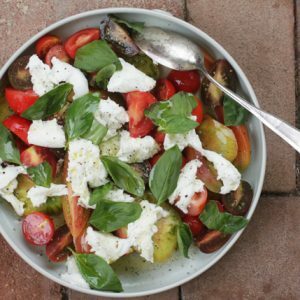 Will definitely be making this before all the beautiful summer tomatoes start to go! I brought some sweet tomato jam back from Puglia a couple months ago, and I’m excited to try making my own when it’s gone! I hope this one does it justice! I’m not sure where Artusi found his recipe for it, but it’s not so common to see these days! Yummmmm. This on a bagel with a smear of cream cheese would probably make my head blow up in happiness! Oh wow, that would be delicious. I love how you’ve found a New York way of transforming this jam! How many pounds is a keg? Cups, gallons? I wound love to make it.